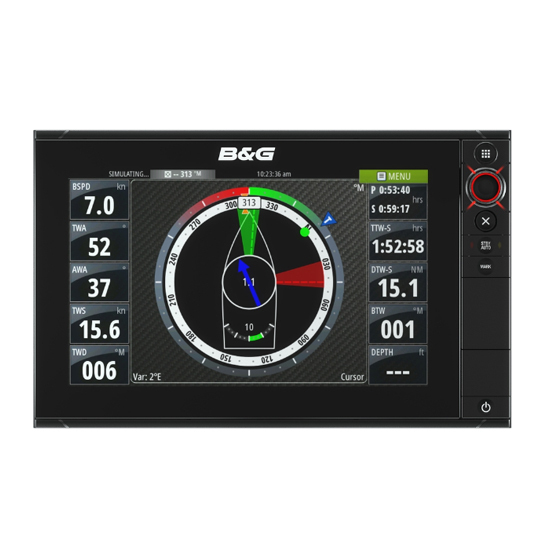 Loaded with unique sailing features the Zeus² 12 is a multi-touch chartplotter that integrates seamlessly with your marine electronics network. It has a bright, 12-inch LED backlit super-widescreen display with multi-touch ‘pinch-to-zoom’ interaction, supplying dedicated sailing data at the tip of your finger backed up by B&G’s signature rotary controller. Zeus2 features an ultra-low profile design and is built to weather the elements, blending style with performance in the toughest environments.